Recuva is the best data recovery software for totally free to recover deleted files from computer, digital camera card, iPod, MP3/MP4 player, and so on. It's so easy to use that everyone can recover lost data himself. No need to call for a computer technician to do the job. Unfortunately, Recuva only runs on Windows. It's a Windows exclusive free file recovery software. So which program can replace Recuva if you want to recover lost data on Mac? 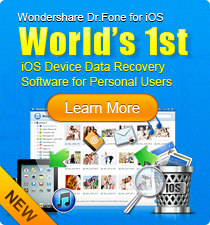 Wondershare Data Recovery for Mac is my recommendation. It's a better alternative to Recuva for Mac. It includes almost any features in Recuva and comes with extra features like iPhone, iPod, iPad data recovery from iTunes. 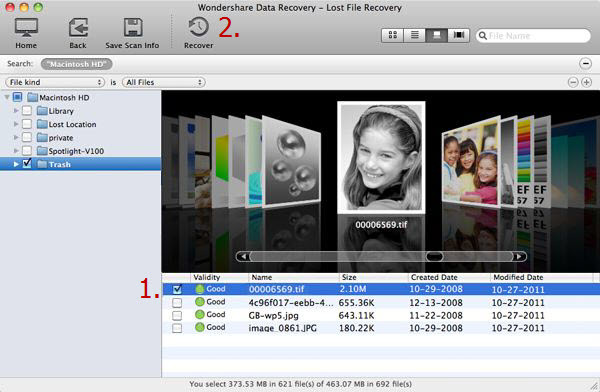 Like Recuva, Wondershare Data Recovery for Mac helps you recover deleted files from all kinds of devices, including Mac, external hard drives, digital camera, iPod, USB drive, memory card, MP3/MP4 player, etc. It covers overall data loss scenarios like accidental deletion, partition formatting, virus infection, unexpected power failure, improper operation, and other unknown reasons. It's the most close Recuva for Mac equivalent you can find. 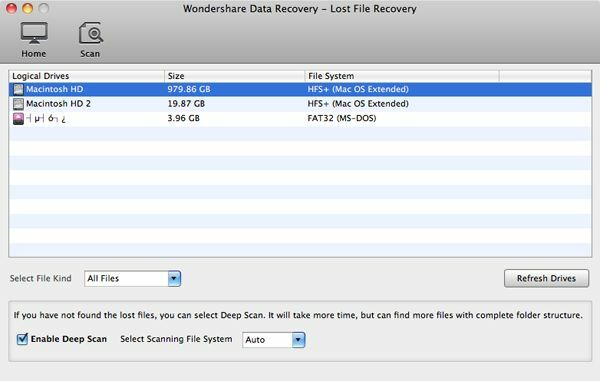 After downloading and installing Wondershare Data Recovery for Mac, start it from the installation folder (usually the Applications folder) and follow easy steps to retrieve your lost files. Lost File Recovery is for common use. It can quickly recover files deleted by Command+Delete, emptied from Trash, or formatted by mistake. If this mode fails to recover your files, Raw Recovery will recover files more completely but accordingly costs more time. Simply choose the drive you want to recover files from and make settings. You can specify the file type if you know what's the file formats. Images, Audio, Video, Documents, etc. are provided. By default, all files will be scanned. You'll see the scan result very soon. With the help of preview feature, you can find photos, audio and other files quickly. To recover desired files, check the checkbox and click the Recover button on top. You're not allowed to save the recovered files to the original drive in case of possibly overwriting your lost files. 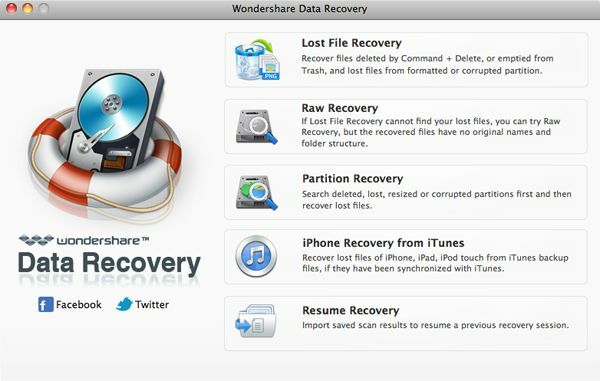 If Wondershare Data Recovery for Mac is not your favorite Recuva for mac, below are the other popular data recovery applications you can try. EaseUS Data Recovery for Mac: Like Recuva, it quickly scans your hard drives to recover unlimited file types. Preview before recovery is available. Mac OS X 10.8 Mountain Lion is supported. PhotoRec: A file data recovery software designed to recover deleted pictures (thus the Photo Recovery name) from digital camera memory and restore lost files from hard disk drives and CD-ROMs. It supports Mac, Windows, Linux, etc.